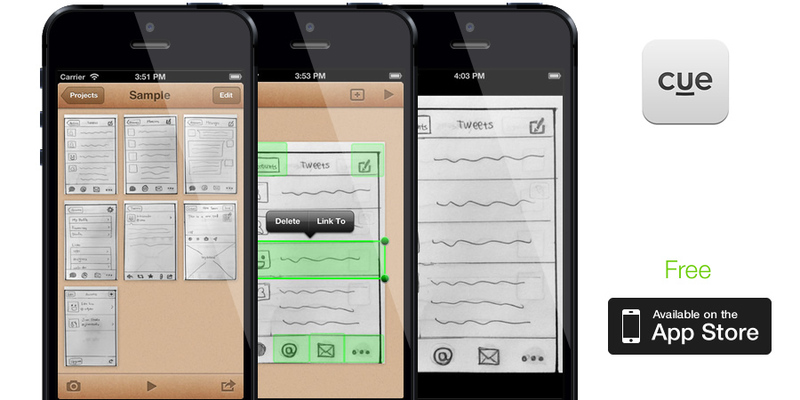 Mobile app prototyping tool is important for a designer. How to choose a right tool? This article introduces four major mobile app prototyping tools in 2017. With the rapid rise of the software industry, occupations like UI UX designers have become coveted fat for many young people. The taste of users is higher and higher, and they are more and more picky to a product, so this piece of fat is not easy to eat. How can you satisfy user’s discerning taste? It’s not enough to have good ideas, your design needs a perfect mobile app prototyping tool in 2017. You must figure out a problem before you choose a mobile app prototyping tool. Does this prototype tool bring you desired effect? If you are a designer who goes after convenience and have art design ability, you can choose this original hand-painted tool! 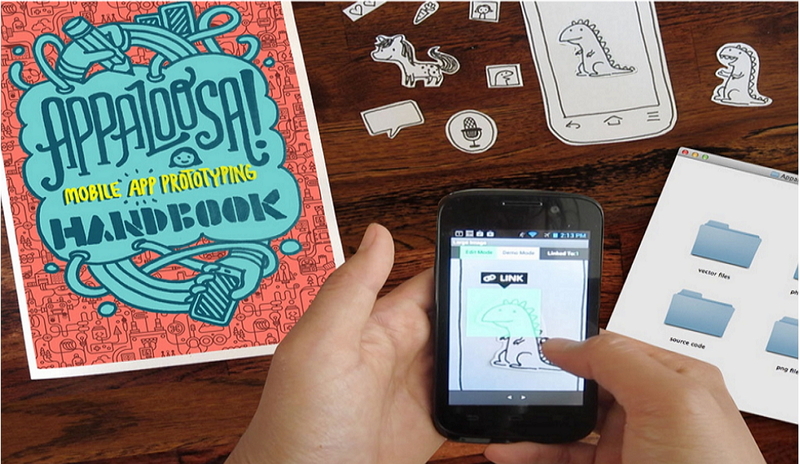 POP is a free mobile app prototyping tool. It allows you to bid farewell to a long process of learning tool and complex interaction. You only need a piece of paper and a pen to start your design immediately when inspiration comes. Then you upload the draft design to a POP app to begin editing button, setting the jump page and demonstrate. Comment: This tool applies to an early stage of mobile phone app prototype design, it’s easy to make and modify. 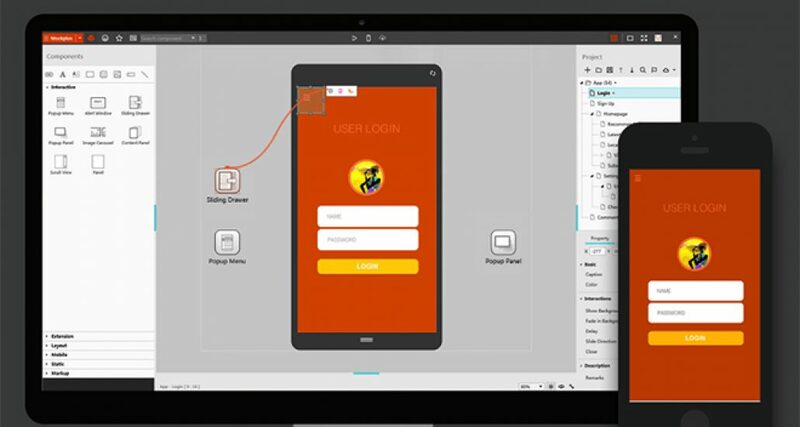 If you’re a designer who is willing to explore new things and has a certain design basis, Axure is the best mobile app prototyping tool for you! Contrary to POP, Axure is a professional fast model design tool. It’s good at complex interaction design of the prototyping design. And you can choose high-fidelity and low-fidelity these two design effects freely. It owns good documentation support and can customize special behavior in plug-in library. Comment: Such a good tool is suitable for app design in the front and middle stages. If you are a new designer who loves designing and hasn’t found away to start, this tool must bring you unexpected surprises! Mockplus is a simple and rapid prototype design tool. What is the design process? You can get started at once, you can design once you get started, it can express your ideas well. Except for the basic functions of the prototyping design, it also has many innovations. Such as collaborative review, component interaction, seamless prototype previews, template reuse and unique drawing style. 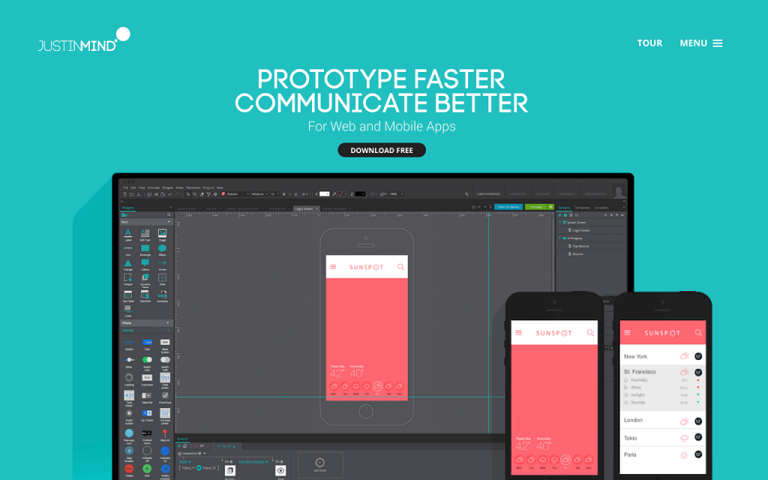 Commet: This mobile app prototyping tool applies to design in the early and middle stages. It’s easy to use while achieving a better interactive effect. If you are a designer who pays attention to display effect, Justmind is your best choice! Justmind is a popular mobile app prototyping tool in 2017. You can achieve the desired interaction effect without programming in the design process. You can import the interactive draft into your mobile phone for the simulation of operation. You can experience the charm of the interactive draft more intuitively. Besides, its interface style is very modern. Comment: This tool is suitable for the middle and late stages of app prototyping design. Its prototype design is closer to demo, so it is convenient for the customer to confirm the prototype.